9 Comments Published by Cedric Benetti on Monday, February 16, 2009 at 2/16/2009 09:43:00 AM. 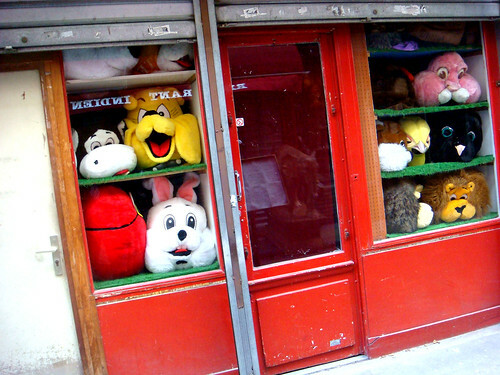 A shop filled with supersized animal costume heads. 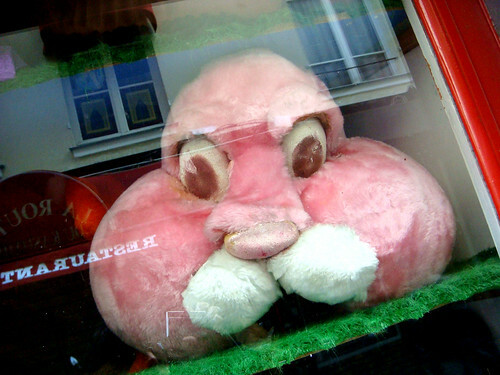 What could be creepier? Imagine living next to this place, and during the night those creatures come to life and start harvesting innocent parisians for their organs. Or they start handing out.... political tracts... heaven help us! Didn't I see you in some weird Michael Jackson music video in the 90s? Aaaaaaah! They are going to eat my brains out! I'm not so afraid of the merchandise as of the clientele. Now you've done it: re-arranged my neural pathways! To "the editor" when I click on your name in your comment here, I get a message asking that you enable your profile, and cannot go to your blog. I tagged you, check today's post. arr! 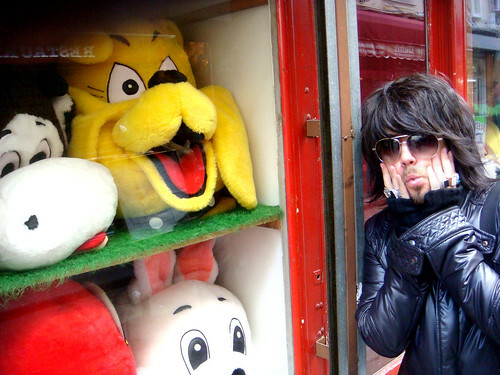 is that shop haunted?or the toys? I'am so sorry!...I was away from my P.C. for a couple of weeks and was trying to avoid "spammers." The "moderation setting" has been changed.